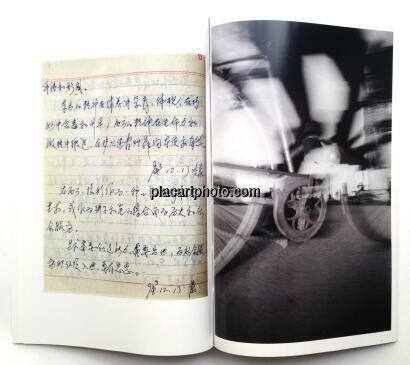 Comments: Hand made softcover, thread- bound, 29,8 by 42,2cm, black and white photographs. 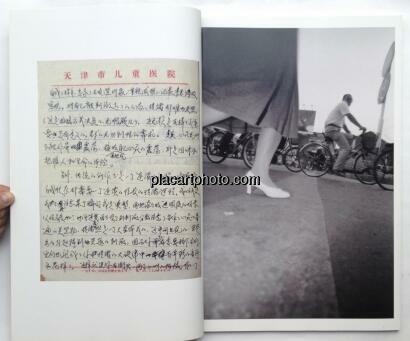 Included in the China photobook p273. 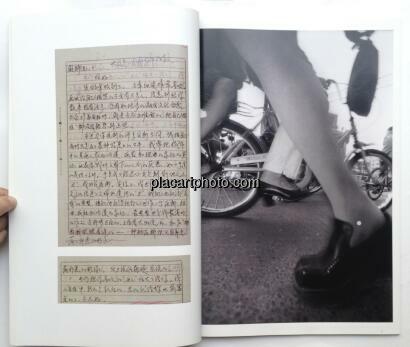 Some tiny traces of manipulation inside the book but a very fresh copy overall. Mo Yi was born and brought up in Tibet, where his father had been assigned by the Communist Party in the 1950s. Mo taught himself photography after a career of several years as a professional footballer. 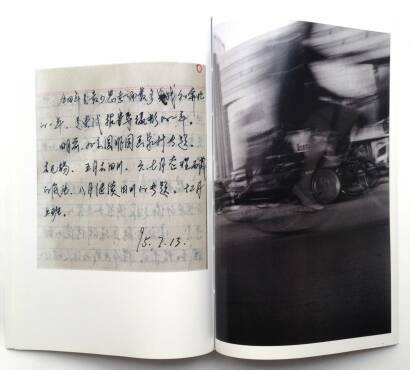 When the family moved back to the industrial port city of Tianjin in 1982, he established a photography practice dedicated to understanding his feelings toward the urban environment. Meanwhile he worked as a photographer in a children’s hospital. Mo’s style of photography was part of an ongoing experiment. 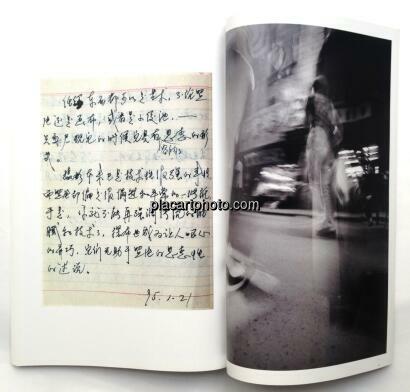 From the late 1980s viewers had criti- cized him for photographing people only at detached, lonely, or wary moments, showing only negative aspects. Wondering if he had a pair of “sick eyes,” Mo started to photograph via a shutter-release cable, with the camera hanging from a cord around his neck, or mounted on a stick, or tied to his back as he wandered the streets. A fascinating example of this attempt to minimize “subjectivity” is the series The Scenery, 1m Behind Me. Dancing Streets, another series shot in Tianjin many years later, employs the same technique, with the camera fixed very low this time, using color film and flash. 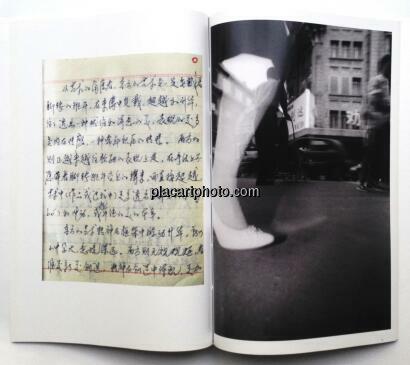 Partly due to the slow critical acceptance of Mo’s conceptual photography, not many of his works appear in book form. 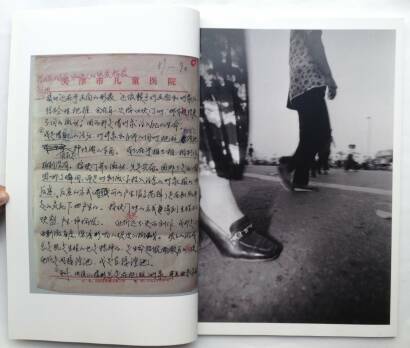 However, he recently devised a series of hand-bound, large-format photobooks in editions of about a hundred, each designed, edited, and printed by Mo himself, and of which Tossing Bus and Dancing Streets are outstanding examples.